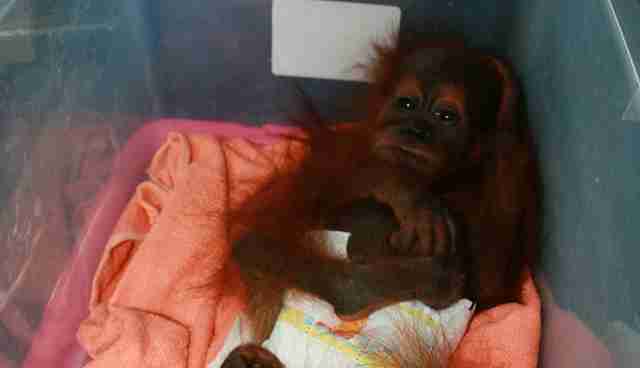 After the baby orangutan watched people kill his mother, he was locked inside a chicken coop. He stayed there for weeks - maybe months - only being taken out when people wanted to pass him around like a toy. 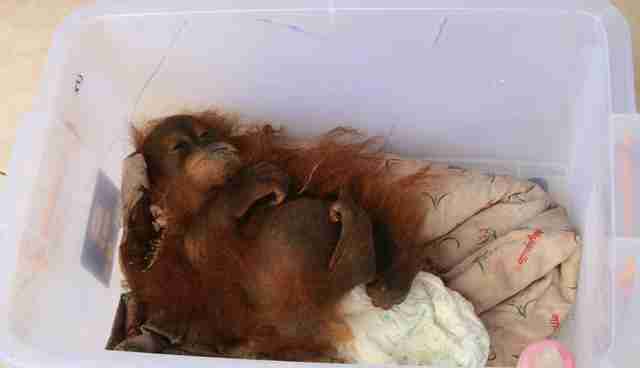 When they lost interest in him, the orangutan was shoved back into his cage. Some days he got fed rice, noodles and sweet tea; other days, he got nothing. 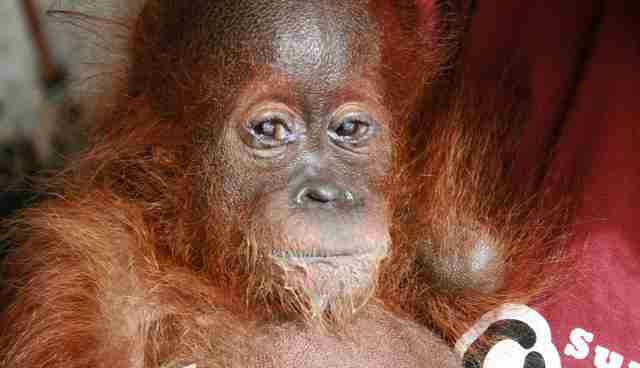 The baby orangutan, who'd later be named Septian by his rescuers, used to live in the Gunung Leuser National Park in North Sumatra, Indonesia. The park is part of the Leuser Ecosystem, a 6.5 million-acre expanse of rich tropical lowland rainforest, and the only place on earth where Sumatran orangutans, elephants, tigers, rhinos and sun bears cohabitate. Palm oil plantation farmers regularly encroach into the Leuser Ecosystem, clearing vast areas of rainforest that orangutans depend on for food. While clearing the rainforest, villagers encountered Septian and his mother. Instead of leaving them alone, they killed the mother and took Septian, selling him to a farmer living near Kutacane, Indonesia, for about IDR 200,000 (about $14). 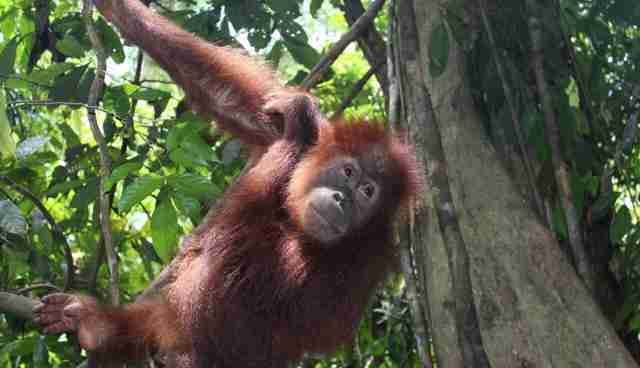 A few months later, the Sumatran Orangutan Conservation Programme (SOCP) was tipped off about Septian, as well as other illegally kept orangutans and sun bears in the same area. 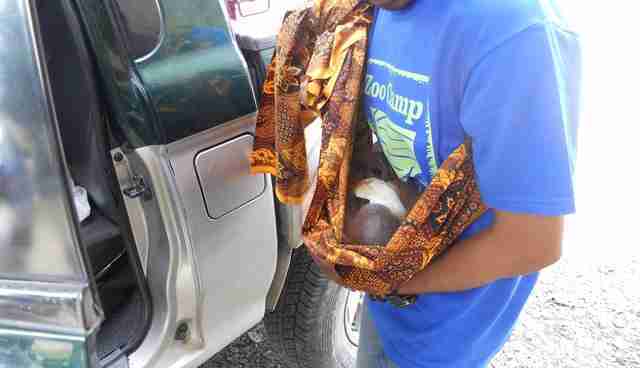 Working with local police and the Ministry of Environment and Forestry, members of SOCP raided the property where Septian was being held, and rescued the baby from the chicken coop. 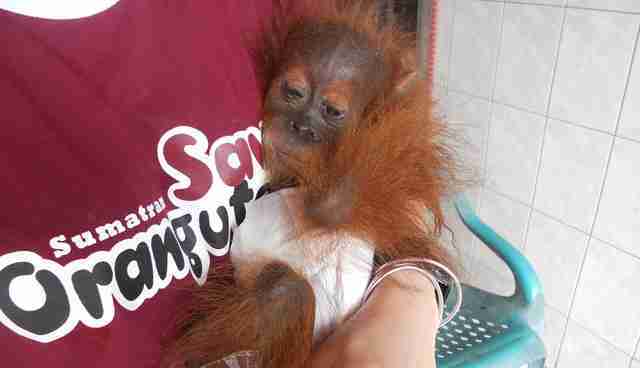 Yenny Saraswati, senior veterinarian with the SOCP, was shocked at Septian's condition. At 6 months old, Septian should have been close to 4 pounds, but he only weighed 25 ounces, a little heavier than a basketball. "He was extremely weak, malnourished and dehydrated," Saraswati tells The Dodo. "I felt very sad for him - for the loss of his mother and the lack of care." 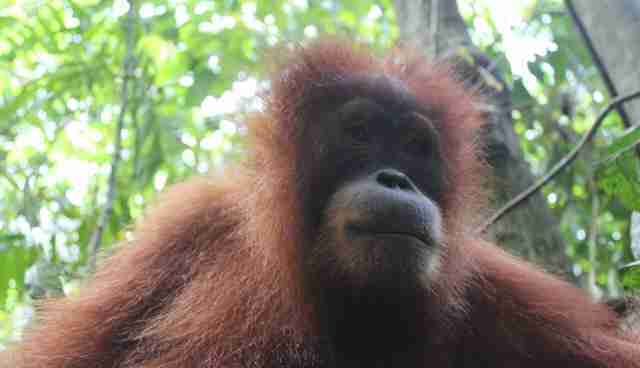 Septian was so weak, he didn't even need to be placed in a transport crate to travel to the SOCP quarantine center in Batu Mbelin. Saraswati just set him inside a plastic box padded with blankets. He lay as still as a doll, not even lifting his head when Saraswati offered him water to drink. 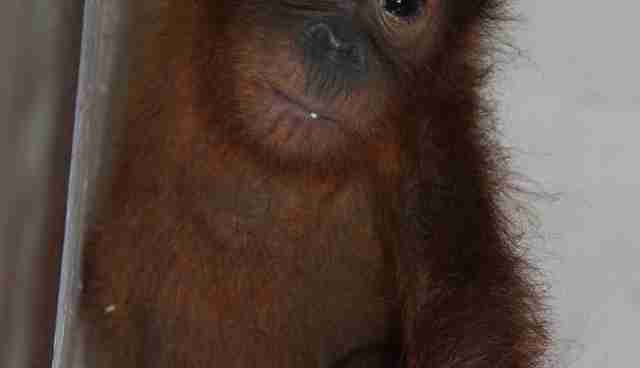 When Septian arrived at the quarantine center, Saraswati rushed to give him emergency intravenous fluids. Then he stayed in the veterinary clinic for two weeks so Saraswati could monitor his health, and make sure he consumed plenty of protein. When Septian became stronger, Saraswati moved him to the quarantine center's "infant house." It was here - at the infant house - that Septian met Seroja. Seroja was 6 months older than Septian, but he'd also been kept as a "pet" by an army soldier near Kutacane. Both Seroja and Septian witnessed the deaths of their mothers. Perhaps these shared experiences are what led Septian and Seroja to become best friends. Their first encounters were playful - they started chasing each other around the enclosure, swinging in their hammocks and sharing their food. Septian and Seroja also went on adventures together. "Every morning, we encouraged them to climb in the guava tree just near the baby house," says Saraswati. "In the beginning, Septian didn't want to climb the tree - he got scared and cried if we asked him to climb. But when Seroja was with him, Septian was happy to climb." Septian eventually became confident enough to climb the guava tree on his own. Over the course of a few years, he also started "foraging" for food in the nearby trees, and displaying other skills needed to live in the wild, including building nests high up in trees, and not always seeking human attention. Noticing these changes, the SOCP team decided Septian should be moved to Jantho, SOCP's reintroduction site in Aceh in northern Sumatra, even though this would mean separating him from Seroja. 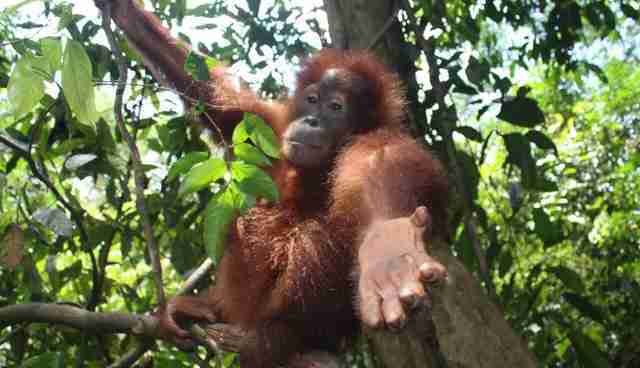 "It may seem harsh to separate him from Seroja but independence is what orangutans really need to survive," Ian Singleton, director of SOCP, tells The Dodo. "So it was better he made the move when he did, and Seroja stayed behind to improve his skills some more, before eventually joining him up there in not too distant future." While Septian would certainly miss his best friend, he's doing well at Jantho. 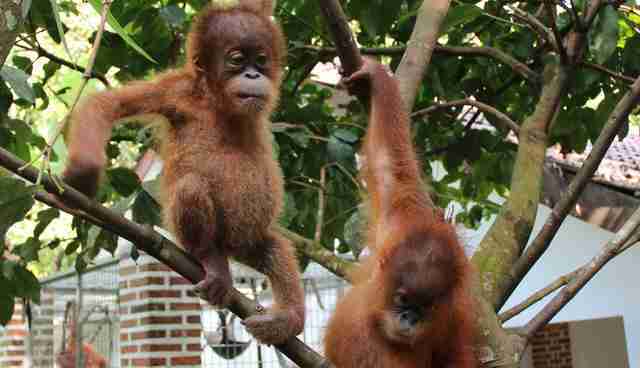 "He's following the other orangutans and learning how to behave in the wild," Saraswati says. "He stays near the others, and sometimes comes back to the cages, but he's already eating wild fruit and building nests, both necessary skills for an orangutan to have." The SOCP crew expects Seroja to join his best friend within a year. "It was a difficult decision to split the two of them up as they had become so close when very young," Singleton says. 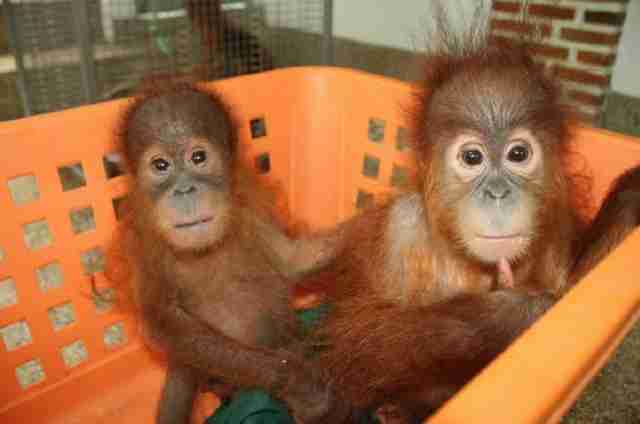 "To do well in life, however, orangutans have to be very independent and able to look out for their own interests. It's therefore important that they don't get 'too' dependent on others. Still, it will be nice to get Seroja up to Jantho soon too, and see how the pair respond to each other - that is, if Septian is still in the area and hasn't moved off somewhere further into the forest by then. I'm sure if they do meet up we'll see some acknowledgement of their earlier relationship, and maybe Septian will also be able to help Seroja adjust to his new situation." 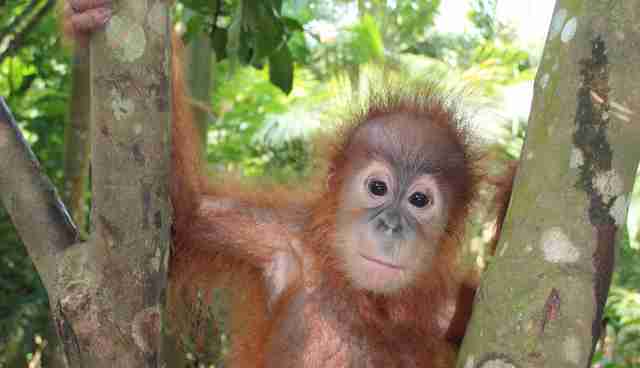 To help Sumatran orangutans like Septian, you can support SOCP by donating here.